In his 2010 book, One Less Car, Zack Furness points out something that should utterly shame all bicycle advocates, alternative transportation activists, planners, and elected officials: no nation on earth has a lower percentage of bicyclists than the United States. A pathetic one percent of all commuting in the US is by bicycle. Even in places with bitterly cold, forbidding weather – such as the Northwest Territories adjacent to the North Pole – bicycling rates are higher. How could this be? After all, those promoting more bicycling and less motoring have successfully convinced towns all over the nation to install bike lanes, bike paths, bike showers, and bike parking. The reason, as Michael Ronkin, former bicycle and pedestrian coordinator for the State of Oregon has brilliantly and provocatively pointed out, is that it is NOT about providing facilities for bicyclists. To effectively convince large numbers of Americans to commute by bicycle, it is necessary to TAKE AWAY SPACE FROM CARS (and increase the cost of car travel). 1. The “vehicular cyclists,” led by John Forrester. The VC advocates claim that no in-street bike lanes or separated-from-the-road bike paths are needed for bicycling. The best, safest way to bicycle is to have a bicyclist travel by following the same rules of the road as the motorist (largely to increase predictability and visibility). I subscribed to this view ever since reading Forrester’s Bicycle Transportation in grad school back in the early 1980s. 2. The “separated bicycle path” group, which holds that the way to recruit large numbers of new bicyclists is to separate them physically from dangerous, high-speed car traffic. The assumption of this group is that the main reason we don’t see large numbers of bicyclists in the US is that most people are put off by the danger inherent in bicycling in the street with cars. Both of these tactics have miserably failed to recruit large numbers of new bicyclists in the US. The US continues to have, by far, the lowest number of bicyclists in the world. The vehicular cyclists take an approach that even in theory is only applicable to a small number of people – those who have the courage, skill and athleticism to bicycle in the street with cars. Even VC advocates admit that their approach, even if widely used, would not result in a large number of new bicyclists. While they believe their approach would lead to a large number of new bicyclists, off-street bicycle path advocates fail to understand that “perceived danger” for bicycling is only a minor reason why commuter bicycling is not popular in the US. The perceived safety provided by off-street bicycle paths, when compared to the above car benefits, does not even come close to convincing the vast majority of Americans that bicycling is preferable to car travel. In other words, the above list of car travel benefits far exceed the benefits of safer bicycling. The key to successfully creating a large number of new bicyclists, and reducing undesirable car dependence, is to establish a “third way:” End the extreme pampering of the car so that the list of reasons why it makes sense to bicycle outweigh the reasons why it makes sense to travel by car. Narrow roads in the community (popularly called “road dieting.”). In general, streets in a town should be no larger than three lanes in size. Reduce the amount of off-street car parking (particularly FREE parking). Governments should end the highly counterproductive, costly practice of requiring new development to provide off-street parking. Much existing off-street parking should be shrunk in size and often replaced with buildings. Design streets to obligate slower and more attentive driving. Tactics include provision of on-street parking, use of relatively narrow travel lanes, requiring buildings to be pulled up to abut streetside sidewalks, removal of traffic safety devices (such as traffic signals, flashing lights, stop signs, etc. ), installing bulb-outs, reducing the height of street lights and traffic signals, installation of canopy street trees, shortening block lengths, and other traffic calming measures. Electronically pricing roads and parking so that drivers pay their own way with user fees, instead of being heavily subsidized with free roads and free parking (free parking is the biggest subsidy, by far, in the US). Substantially increase the state and federal gas tax. The gas tax has not been raised in 18 years (1993). By not increasing the gas tax, the US transfers an enormous amount of national wealth to oil-producing nations in other parts of the world. The relatively low gas tax is another in a long list of examples of motorist subsidies that promote excessive car travel. This loss of user fee revenue severely strains government finances, because in order to pay for the enormous costs of providing for car travel, governments must raise (non-gas) taxes such as property taxes or sales taxes or income taxes to pay for car travel. Alternatively, governments must cut other government services, which harms quality of life and makes our society less civilized. Require relatively large employers to provide a “parking cash-out” program, and use such a program for all government offices. Parking cash-out, as Donald Shoup points out, is a program that offers the car commuter a choice: Either keep your free parking space at work, or give up the parking space in exchange for a higher salary, a bus pass, or other perks. Require that the cost of parking be “unbundled” from the cost of a home or business. 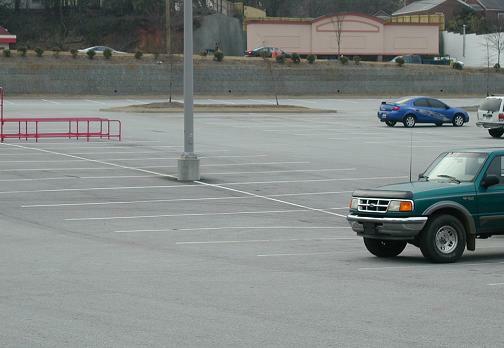 Currently, nearly all homeowners and consumers of goods and services pay a hidden parking cost – housing, goods, and services are more expensive because it is expensive to be required to buy extra land to provide for (and maintain) car parking. If this car parking cost was unbundled, housing, goods, and services would be less expensive, and people would be less compelled to drive a car excessively. Requiring relatively high levels of street connectivity. When streets are connected, bicyclists that are less comfortable on main roads are able to find lower-speed, lightly-trafficked side streets for bicycling. Existing dead ends and cul-de-sacs can sometimes restore bicycle connectivity with connector paths linking the cul-de-sac with a nearby street. Converting one-way streets into two-way streets. 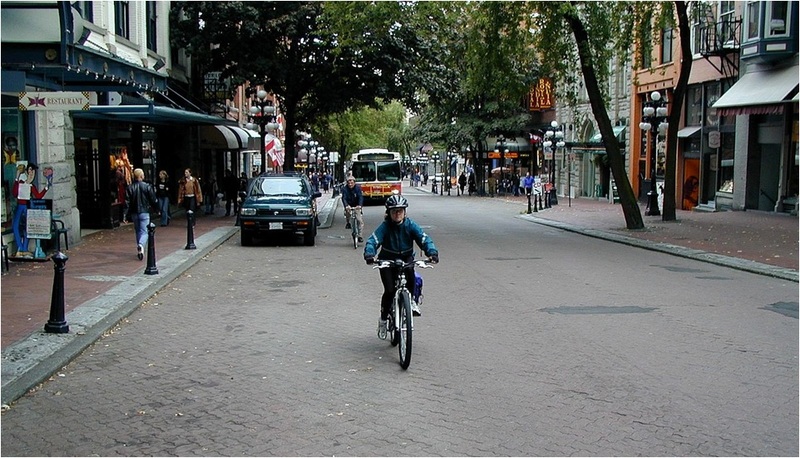 One-way streets strongly discourage bicycling because such street design promotes excessive car speeds, motorist impatience, and inattentive driving, not to mention the loss of residential and retail development along such streets. Increasingly, towns in the US are converting one-way streets back to two-way operation, and seeing extremely rapid improvements. See my blog for my thoughts about one-way streets. Reducing trip distances. Governments are able to do this by finding ways to increase residential densities in appropriate locations, allowing “mixed-use” development (where homes are combined with offices and retail, for example), and keeping “community-serving social condensers” such as farmers markets and important government offices in the town center (rather than allowing them to relocate to remote suburbs). Civil disobedience. There are a number of measures which are being used increasingly in the US to protest excessive, detrimental car dependence in the US. These measures include various forms of civil disobedience, “guerilla” tactics, or direct action. Examples include “critical mass” bicycle rides (where large numbers of bicyclists will gather and ride in large groups on streets in such a way as to inconvenience motorists), temporarily converting car parking into parks, etc. Elections. Citizens can campaign for candidates who support the measures described above. Normalizing bicycling. Bicycling in the US is substantially marginalized because bicyclists dress in ways that visibly set them apart from “normal” people. Most wear a bicycle helmet, which tend to be unfashionable, messes up hair, and sends a message that bicycling is dangerous. Many bicyclists also wear brightly-colored lycra bicycle clothes, which gives a very unusual, “elite athlete” appearance. It is important that bicycling be seen as more “normal” if bicycling is to become more common in the fashion- and status-conscious US. Bicycling advocates, then, can better promote bicycling by dressing in everyday leisure or work clothing while bicycling, and using a bicycle helmet less often (particularly when bicycling in relatively safe, low-speed environments such as town centers). See my blog for my thoughts about bicycle helmets. I would be remiss if I did not mention the need to provide well-designed bicycle facilities and parking. While neither would recruit large numbers of new bicyclists, both are important for at least two reasons. First, it is important that bicyclists be given safe, convenient places to bicycle and park. Second, providing such facilities sends the important message that the community respects and promotes bicycle travel. In this location, the pedestrian is the design imperative, which means that quality design emphasizes a low-speed street design. This means that there are generally no more than two travel lanes (and possibly a turn lane or pocket). Curb radii are modest, and combined with intersection and mid-block bulb-outs, minimize crossing distances for pedestrians. Further enhancing the safety, comfort and convenience of the pedestrian is on-street motor vehicle parking, sidewalks, and buildings abutting the back of sidewalks. There is a dense, connected grid of streets with short block lengths. When designed properly, the modest motor vehicle speeds mean that most all bicyclists are able to safely and comfortably “share the lane” with motor vehicles (that is, ride within the motor vehicle travel lane). Those bicyclists who are not comfortable sharing the lane with vehicles are able to ride on nearby parallel streets. In walkable urban locations, in-street bicycle lanes should generally be considered a “transect violation,” since their installation usually means that average motor vehicle speeds are increased (due to the perceived increase in street width for the motorist). Bicycle lanes also tend to increase the crossing distance for pedestrians, and are often incompatible with on-street parked cars unless an excessively wide bicycle lane is created. Note that I do acknowledge that when a walkable, compact urban location contains major (arterial) streets that such streets generally require the installation of in-street bicycle lanes. However, when such major streets require bike lanes, it is a strong indication that the street itself is a transect violation. Ideally, such streets should be re-designed to be compatible (or “immersive”) in the walkable location through such techniques as removing travel lanes, adding on-street parking or other mechanisms that dramatically slow down motorists and obligate more attentiveness in their driving. Also incompatible in this location are bicycle paths separate from the street. Such paths are not only unaffordable to install in this location, but significantly increase bicyclist danger. In this location, in-street bicycle lanes tend to be most appropriate on major (“arterial”) streets, due to the increased average car speeds. Bicycle lanes should be 4-5 feet wide. On-street motor vehicle parking tends to be used somewhat less on suburban roads than on walkable urban streets. Building setbacks are larger, as are turning radii. In general, bicycle lanes are not necessary on intermediate (“collector”) streets, due to low traffic volumes. Like walkable urban locations, bicycle paths separate from the street are generally incompatible in this location. Such paths significantly increase bicyclist danger, largely due to the number of cross streets, the reduced visibility of the bicyclist, and the false sense of security created for the bicyclist. In this location, bicycle paths separate from the road tend to be most appropriate, due to the relatively high speed of motor vehicles here, and the relative lack of crossing roads. On-street motor vehicle parking tends to not be used on rural roads. Building setbacks are largest in this portion of the transect, as are turning radii. In-street bicycle lanes are sometimes appropriate here, but are not as appropriate as in suburban locations. In sum, bicycle travel routes are increasingly separated from motor vehicles as one moves along the transect from walkable urban to suburban to rural. My master’s thesis in graduate school emphasized providing properly-designed bicycle parking. It has become quite common for bicycle parking to be provided improperly. So many strange, unusual, non-functional forms of bicycle parking are provided that I have concluded that the main criterion for selection of bicycle parking is aesthetics and low cost. Like car parking, there is only one form (or with very minor variations) of acceptable bicycle parking design: the “inverted-U” (also known as the “Hitch-To”). This relatively low-cost, durable bicycle parking design is vastly superior to most all other forms of bicycle parking that have proliferated in the US. Communities should require this design in the same manner as they require only one form of car parking. Doing otherwise trivializes bicycling. It is quite possible for the US to end its humiliating, unsustainable lead in the world for lowest level of bicycling. Americans are NOT genetically predisposed to drive a car rather than bicycle. The effective tools are not a mystery. Using them is simply a matter of leadership on the part of citizens and elected officials. Yes, it will be difficult to “take away from the car” to increase bicycling. But if we are, as a nation, truly serious about reducing ruinous, unsustainably high levels of car dependence, and substantially growing the number of bicycle commuters, the steps I outline above are essential. There are very few, if any, “win-win” tactics for car and bicycle travel. 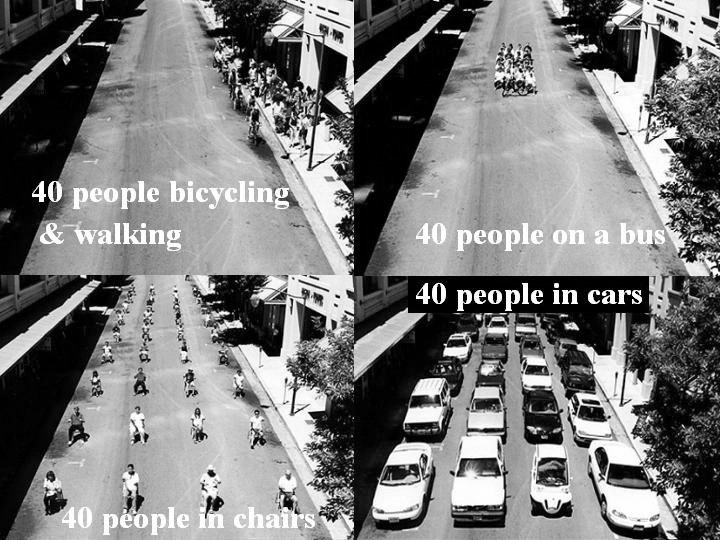 Instead, car travel and bicycle travel are more of a zero-sum game. Increasing the level of bicycle travel inevitably means taking away space from cars, inconveniencing cars, and making car travel more expensive. It is important to point out here that for over 100 years, the US has engaged in the opposite: We have taken away space from bicycles, inconvenienced bicycles and made bicycling more expensive. For the sake of improving our health, the health of our cities, and our future quality of life, we must begin the incremental, long-term practice of ratcheting down car pampering. The longer we wait, the more painful it will be. 1. The Florida growth management law paid quite a bit of lip service to environmental conservation, reducing traffic congestion, promoting smart/infill growth, etc. 2. The “concurrency” rules in the law (new development is not allowed unless facilities and services are in place to serve the new development) were seemingly a matter of common sense, but in practice the only concurrency that mattered was that roads needed to be wide enough to serve new car trips served by the new development. Because available road capacity tends to be in sprawl locations and in-town locations had no available capacity, the unintended consequence of implementing the growth management law was to strongly promote sprawl and discourage infill development. One result is that road concurrency was used as leverage by NIMBY no-growthers to stop in-town infill development (and thereby indirectly encouraging more sprawl via NIMBYism). 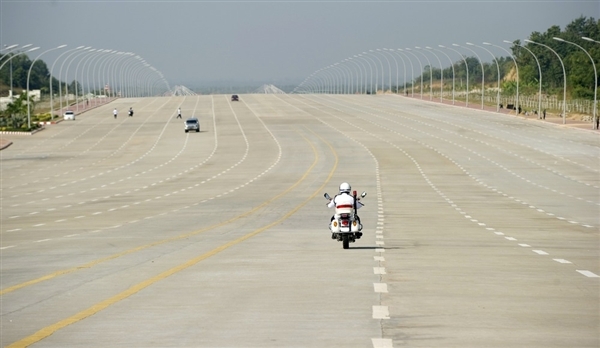 Road concurrency even discouraged walkable, compact, mixed use new urbanism in sprawl locations, since conventional administrators, elected officials, planners and engineers could not be convinced that such design would reduce per capita car trips. 3. Planners in Florida had no time or encouragement to engage in any form of planning or visioning. Planners were mostly bean counters, and the “Future Land Use Maps” planners were asked to create were nearly identical to the existing land uses already found in the city. The urban design element I wrote for Gainesville’s long-range plan was optional, not required. 4. In 20 years, I was aware of no city or county in north central Florida which laid out a “smart growth” or new urbanist plan as part of their update of their long-range plan for the growth management law. This was largely because while the law paid lip service to “smart growth,” there were no incentives or requirements in the law to create transect-based (or form-based) land development regulations (regulations that would properly place emphasis on design for walkable sustainability rather than the conventional, exclusive concern for what happens within the building). Again, all that mattered was that available road capacity exist for the new development. In sum, while the law paid lip service to smart growth, the law and its implementation was the antithesis of smart growth or new urbanism. 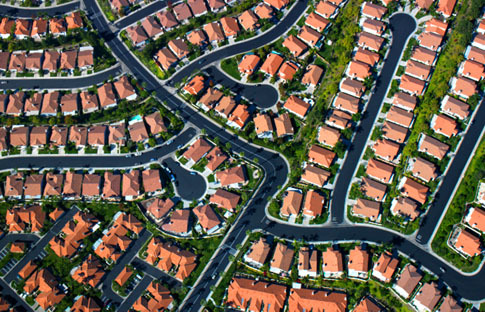 The law powerfully and effectively PROMOTED sprawl, car dependency and enormously wide roads. In my opinion, Florida was, in many (but not all) ways, made worse – ironically — after 20 years of implementing a growth management law intended to protect its transportation, its quality of life, its economics and its natural environment. Again, this was mostly because all that mattered was road concurrency, and because the law provided no guidance or incentives or requirements for smart, compact, sustainable growth. The law was mostly responsible for ramping up the amount of vision-less bean counting in Florida. 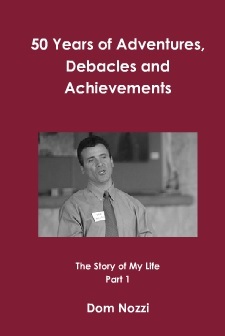 My hope is that out of the ashes of the now-repealed Florida growth management law, we will see the emergence of new land development laws that effectively promote or require smart growth – growth that promotes the full range of lifestyle and travel choices (rather than promoting only one choice – the suburban, driveable choice). The state should have “smart growth concurrency” rather than “road concurrency” – no new development unless a form-based code is in place. Laws, in other words, that promote transportation choice and lifestyle choice. Laws designed to make people — not cars — happy. It is not clear to me, however, whether the state of Florida will show the wisdom and leadership to reform its land development laws in such a way. Hopefully, emerging energy, political and fiscal crises will compel the state to be smarter than it has been in the past. 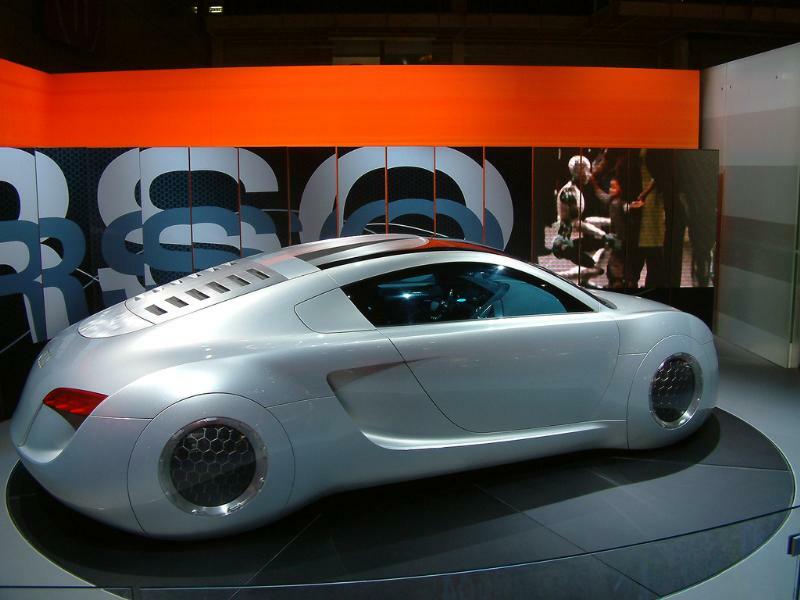 Are Robotic Cars a Good Thing? A friend of mine – who is a dedicated environmentalist, and in agreement with me on a great many issues — recently gushed about how much she was looking forward to the growing advances in cars that are robotically able to drive themselves. But I was less than fully supportive of her enthusiasm. I told her that I don’t buy the claim that we can build cars that will drive themselves, and that our transportation future will be solved or made significantly better if that were pursued. Automation of cars (and planes and transit and other things) scares me, because I don’t see how we can eliminate human error in the design of such things, or design automation that is so sophisticated that it can ALWAYS properly respond to an incredibly complex world of situations. I am certain that we will never see a world where everyone gets around in their own personal George Jetson flying machine piloted by robots and using unlimited, no-pollution fuel. That, like the Christian heaven, is pure fantasy. The key for our future is to not design robot cars. 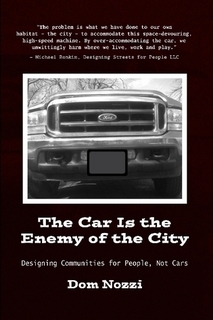 It is to design communities where car use is an option. Where it makes rational sense for nearly all of us to use high-quality transit (operated by humans rather than robots). Technology is not going to save us. Unless we change our behavior by, among other things, re-arranging how our communities are designed, our world will collapse. There is no future in private, motorized transportation.